Dreaming On, our award winning Robertson and Caine, Leopard 47 foot, sailing catamaran, is available for exclusive one day, 4 day or 7 day charters in the Virgin Islands. 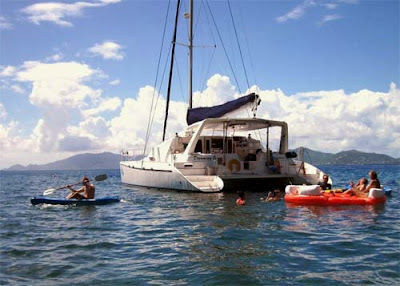 We would love to share with you the joys of cruising the Virgin Islands, giving you the vacation of a lifetime. Click here for charter Availability.